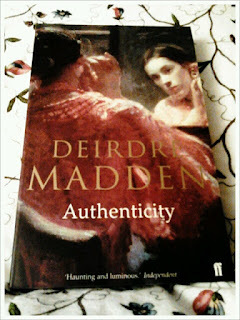 The joys of reading Deirdre Madden's novel 'Authenticity' were few and far between. The sorry fact is that I did not enjoy reading this book half as much as I had hoped. Set in Dublin in the recent past, the main characters, Julia, William and Roderick, are all artists of varying degree and talent. They struggle with their creativity and egos as they try to find a balance between their inner, creative life and the social demands and obligations associated with family life,parenthood and financial survival. 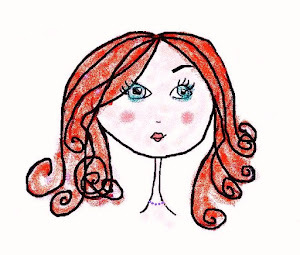 Perhaps it is because Madden is trying to recreate the boredom of everyday life for an 'authentic' artist that she writes page after page of tedious details relating to the comings and goings of these characters. There is an improbable love triangle of sorts at the heart of this text, but even that does not come to much and we care little if the various couplings ever get together or not. By far the most interesting character for me was Dennis, the sober solicitor, who had the true soul of a painter and could see the world with an artist's eye for detail. His were the most interesting sections, the most curious observations. Indeed the best parts of the book, the long sections of descriptive language, when a stunning view or artwork is captured on the page, belonged to Dennis. There was an interesting memory motif running through the novel, with objects and smells etc. triggering old, forgotten moments. My favourite one of these was the apple, which reminded Julia of her mother. The symbolism of the apple, with its traditional associations with Eden and The Fall etc. although a clever addition to the text, was not enough to save it and so 'Authenticity' remains one book I will not be on my great reads of 2012 list. An Austen Notebook to Begin the New Year!